Helicopter crashes are relatively rare in the United States, only 197 occurred in 2005. Though most people don’t think about helicopters when they think of aviation accidents, the helicopter accident rate in the US is 30 percent higher than general aviation accidents. The growing popularity of helicopter travel has contributed to a higher rate of helicopter accidents. Many helicopter accidents are fatal to the victims, as are many aviation accidents. The fatality rate in aviation accidents is much higher than most other types of accidents, even though there are fewer of them. Severe injuries such as amputation, paralysis and brain injury can also result from a helicopter accident. Even less severe injuries can cost thousands in medical bills and impair the victim’s ability to work, participate in family activities, and lead a normal life. The conditions that lead to helicopter crashes are similar to the causes of other aviation accidents. Inclement weather, operator error, or even defective helicopter parts can be major contributors to these devastating accidents. The complexities of air travel in the United States do nothing but complicate matters. With so many different entities involved in each takeoff, flight, and landing, communication can also be an issue. Air traffic controller errors, flight service negligence, maintenance or repair errors and violations of FAA regulations can all be contributing factors to helicopter disasters. Helicopter crash litigation can be complex and confusing, involving a lengthy investigation into the causes and circumstances of the crash and requiring extensive expert witness testimony and research. While victims of helicopter crashes or the loved ones of those who wrongfully died in such a crash can seek damages and compensation for their injuries, the process can be arduous and confusing for the average person. Victims of these type of crashes are best served by contacting an experienced helicopter accident attorney with the subject-specific expertise and track record it takes to prevail in court. The right helicopter crash lawyer can evaluate your case, help investigate its causes and negotiate between the many parties involved, from the operator to state licensing boards to insurance companies to manufacturers, airports and more. When you consider that a survey conducted in 2004 revealed that the causes for a third (33%) of the 2,147 aviation accidents since 1950 could not be determined, the need for experienced representation becomes very apparent. Founded on landmark cases and dedicated to the representation of personal injury victims, Panish Shea & Boyle, LLP is the firm of choice throughout the nation. Our record of success is substantial and our reputation for aggressive and savvy legal representation is strong. Have you been injured in a helicopter crash? Call Panish Shea & Boyle at 877.800.1700 today for a free case consultation. 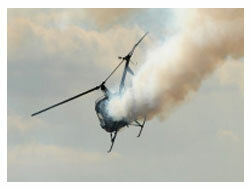 To learn more about helicopter accidents, check out our helicopter crash attorney page here. Largest known settlement for military personnel injured during the war in Iraq awarded to Juan Beltran and Ron Carns for injuries they received. Beltran was represented by Kevin Boyle and was awarded $11,247,500 for injuries he suffered in a helicopter crash in Iraq which left him paralyzed. Wrongful death caused by the crash of a sightseeing tour helicopter.